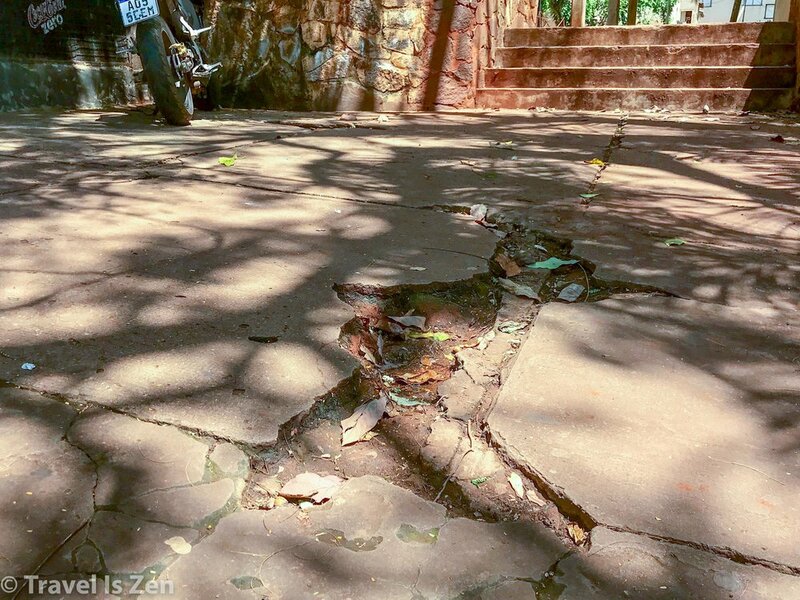 It happened a few meters from the bus station in Puerto Iguazu. We had just arrived from Buenos Aires after a 20 hour bus ride and were still shaking the cobwebs from our brains when I stepped into a hole in the sidewalk, twisting and fracturing my ankle as I fell. 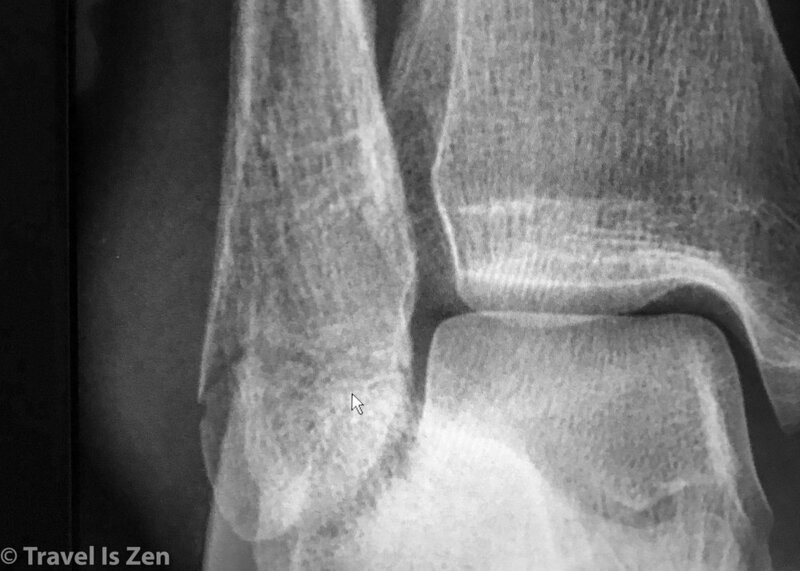 The staff at the public health facility took good care of me, sending me on my way with a boot and crutches. 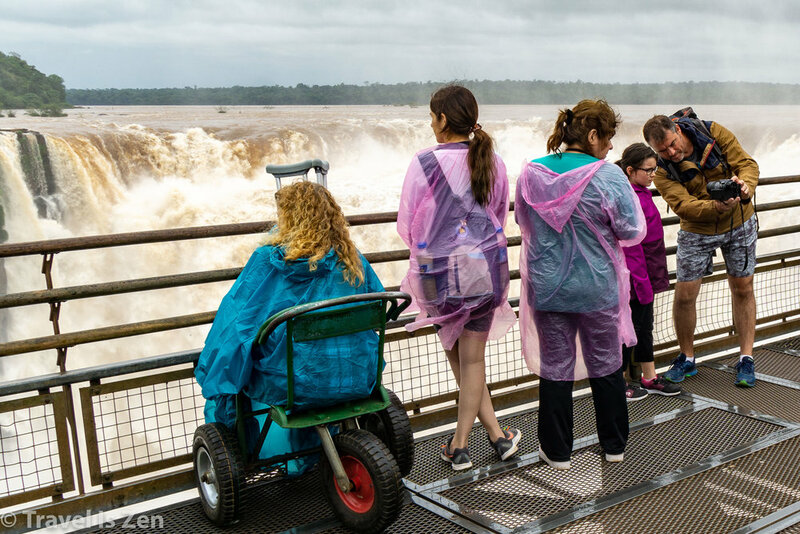 We were here to visit Argentina’s Iguazu Falls and now faced the challenge of accessibility in our travels. 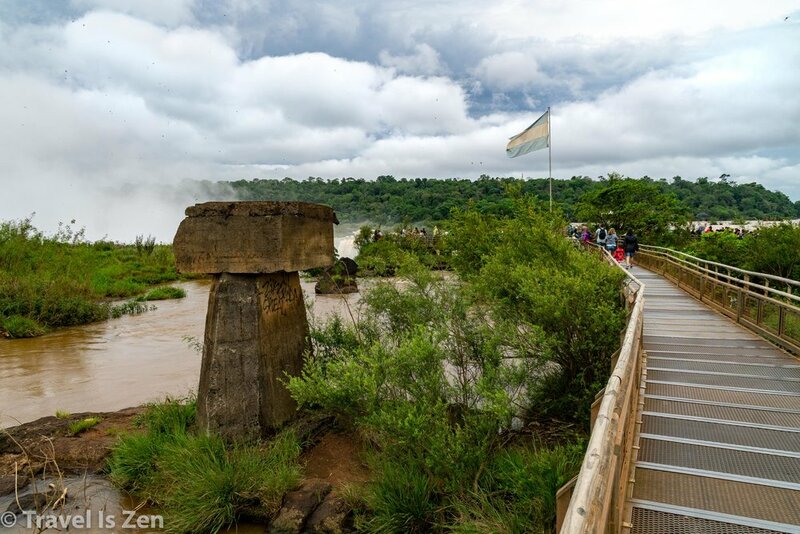 Fortunately for us, Iguazu National Park has a number of services to accommodate visitors of all ages and ability. A uniformed greeter at the park entrance the next day observed my crutches and came over to explain our options. Caffrey scrutinized the map and asked about the Lower Trail. Because that trail is normally pretty wet and slippery, the Ranger told us wheelchairs are not allowed on the Lower Trail and crutches are not recommended. All things considered, however, we could still access a good bit of the park. The Park Ranger radio’d for a golf cart to take us to the main train station about ½ mile from the entrance. It had just stopped raining and the pavement was slick. Waiting for the golf cart ride to the train. At Devil’s Throat station, we learned that all the wheelchairs were currently in use. We waited for about 20 minutes before I got impatient. Not realizing that the footbridge to the Falls was a mile long, I tried shuffling there on crutches. 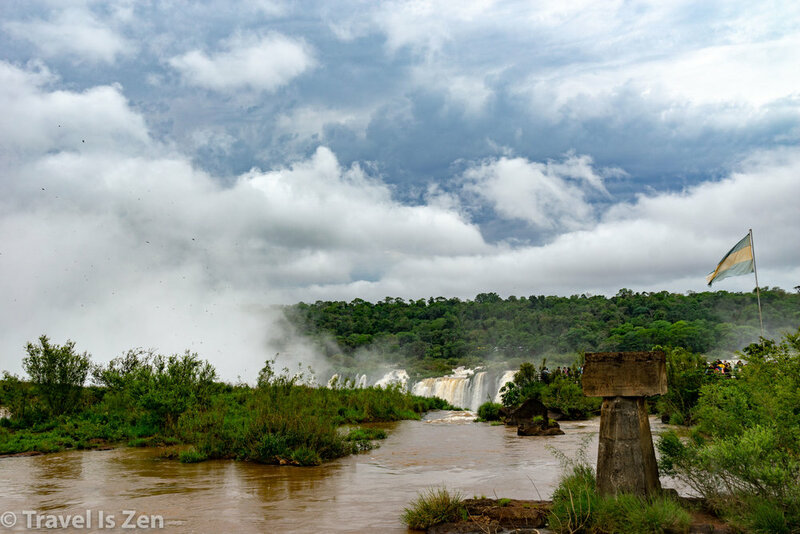 We made it about halfway across the network of steel bridges over the swollen waters of the Iguazu River before I peetered out. Caffrey spotted a couple using one of the park wheelchairs and followed them back to the entrance. He appeared a little while later with my chariot. Wheeee! With Caffrey pushing me, the ride was bumpy but a gazillion times more enjoyable. We could hear the Falls at Devil’s Throat before we saw them, a dull distant roar. Then we spotted clouds of energetic spray dancing above the swift brown river current. We didn’t actually see the Falls until we were literally walking (or wheeling) above them on the footbridge. 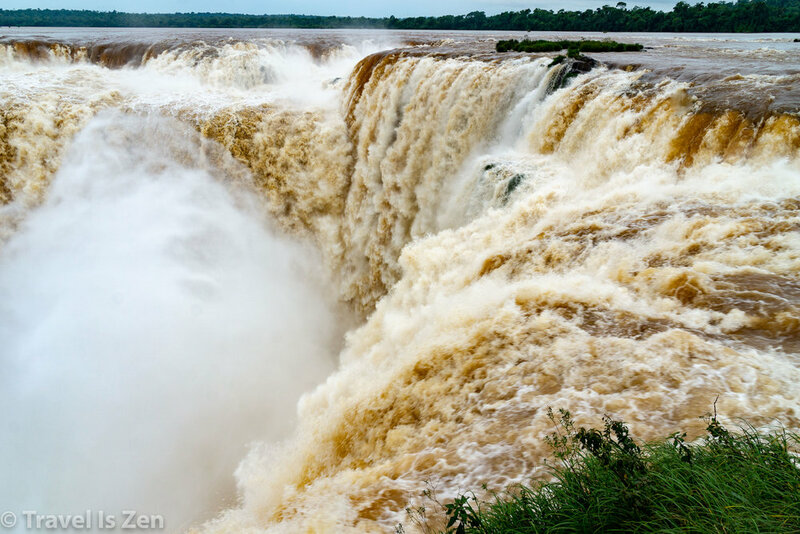 We entered at the edge of a huge arc spanning nearly 300 feet, where the left half the Iguazu River funnels over a basalt rock staircase at the lip of the Parana Plateau, spilling 62,000 cubic feet per second of water down 115 feet and then another 140 feet. 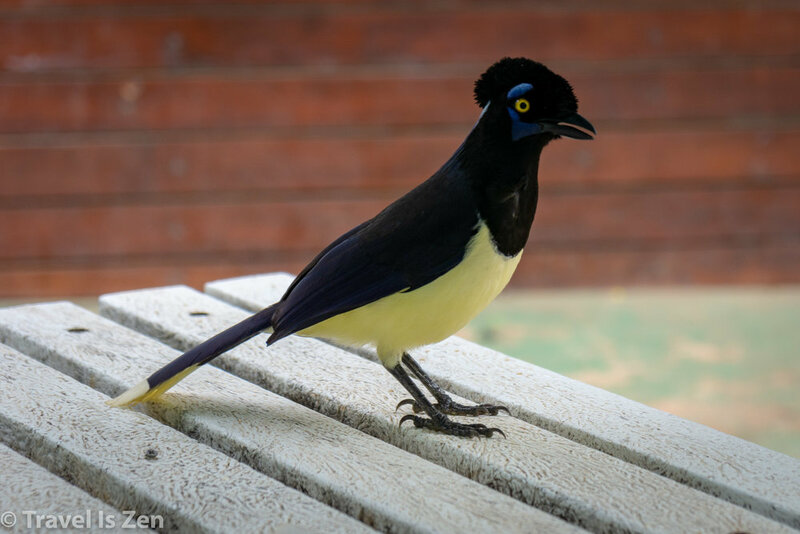 Thousands of cliff-dwelling birds darted about like playful fairies in the spray plumes. On a sunny day, the best time to visit Devil’s Throat is in the late afternoon, when the refraction of sunshine around water droplets in the spray forms rainbows. Black rainclouds threatened while we were there, but their looming presence just heightened the drama of the scene. Spectacular! In my opinion, the High Trail is even more spectacular than Devil’s Throat. 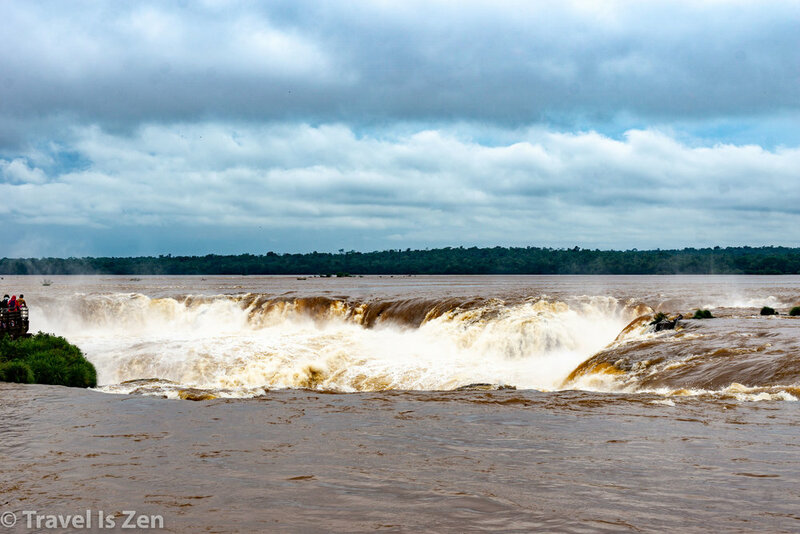 This is where the other half of the river forms a series of 160-200 waterfalls, sometimes coalescing into a single wall of water during a flood! From the various viewpoints along the trail, which again hover maybe a foot above the flowing river, we could see waterfalls all the way to the horizon. The bridges carried us across the headwaters of the largest Falls, including San Martin, Adam and Eva, Penoni, and Bergano. In the river canyon below, we could see poncho-covered hikers traversing the lower trail. 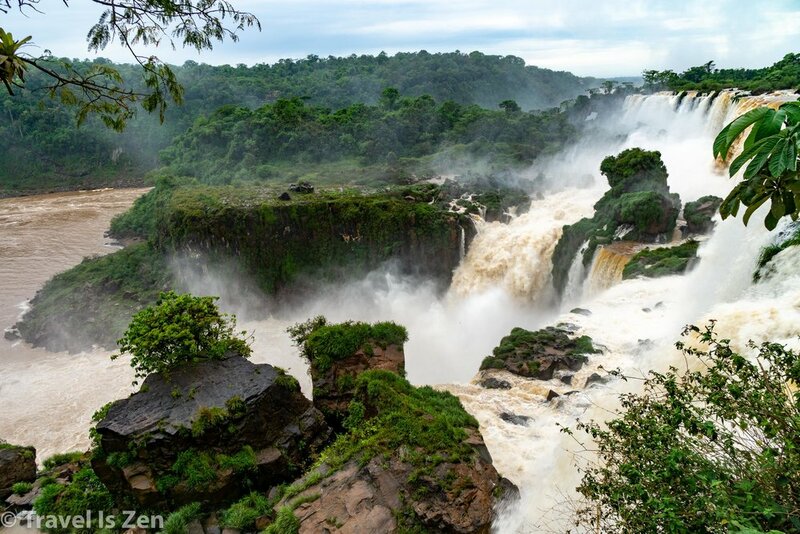 Colorful, high-powered speedboats charged towards the base of the falls, turning on a dime just before hitting the shower, leaving a u-shaped wake and the echos of delighted screams. We made it back to Central Station just as the park was closing. We waited less than five minutes for a golf cart and got into our waiting taxi just as raindrops began pelting the windshield. The rain that had so patiently held out for us all day finally gave in. 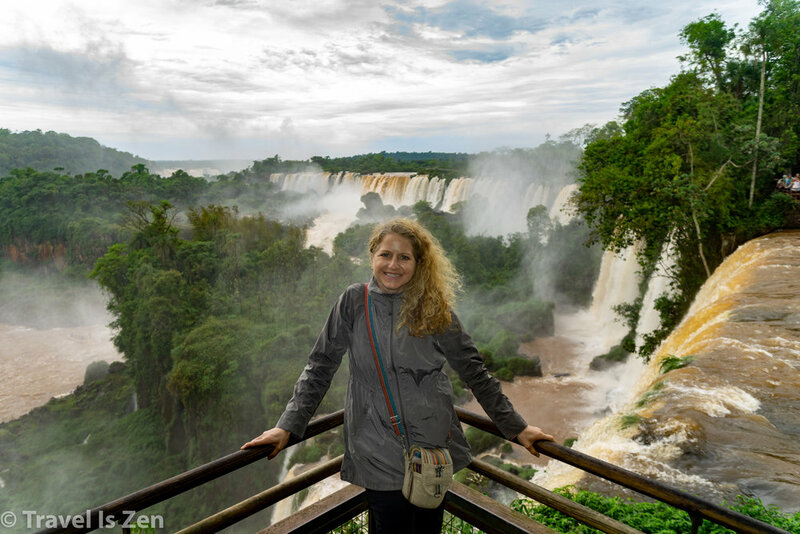 Thanks, river dieties…and thank you to the Iguazu National Park designers and staff! Their careful attention to accessibility for all made our day memorable. I have a new appreciation, now, for what it’s like to travel with special needs. 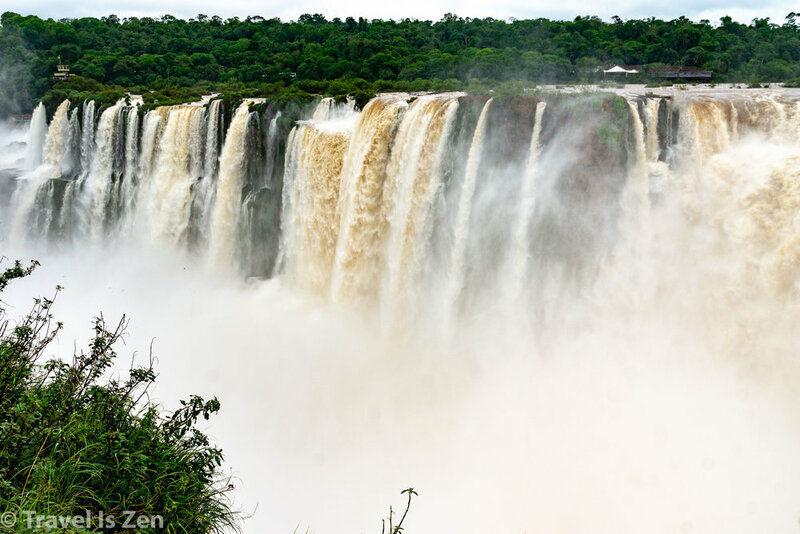 How Much Time Should You Allocate to Iguazu Falls? 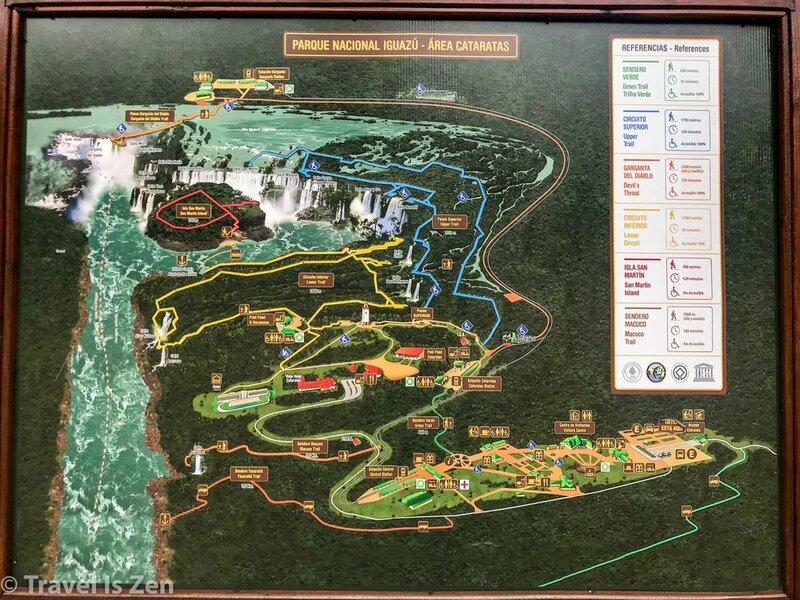 Based on travel blog recommendations, we booked three nights and four days in Puerto Iguazu. This was a bit too long. 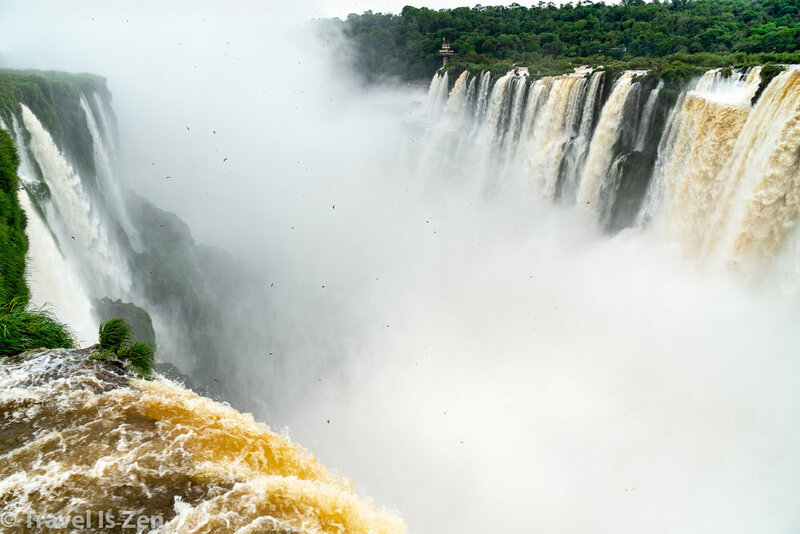 You can cover the entire park in one day and the Falls are spectacular, even if it’s raining. We actually saw tour groups arriving on overnight buses straight from Buenos Aires. 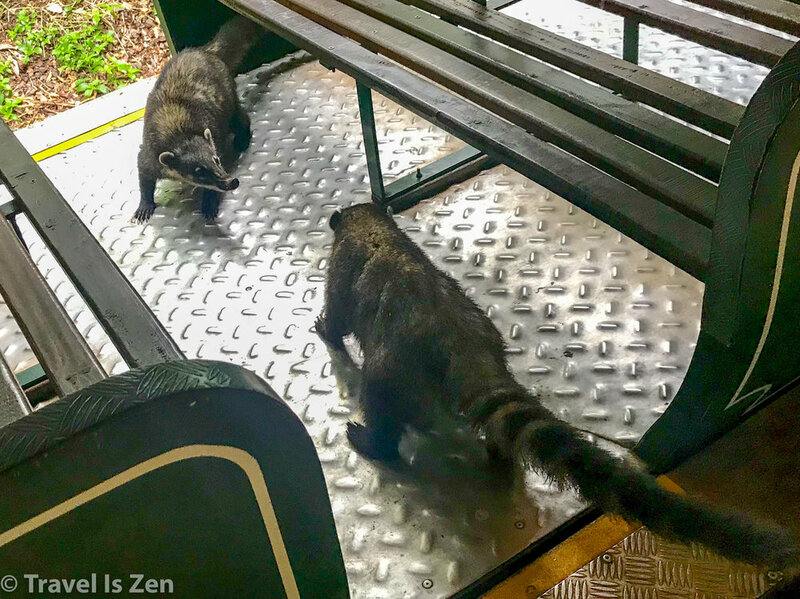 They toured the park until closing and then got back on the bus for another overnight ride back to the city. 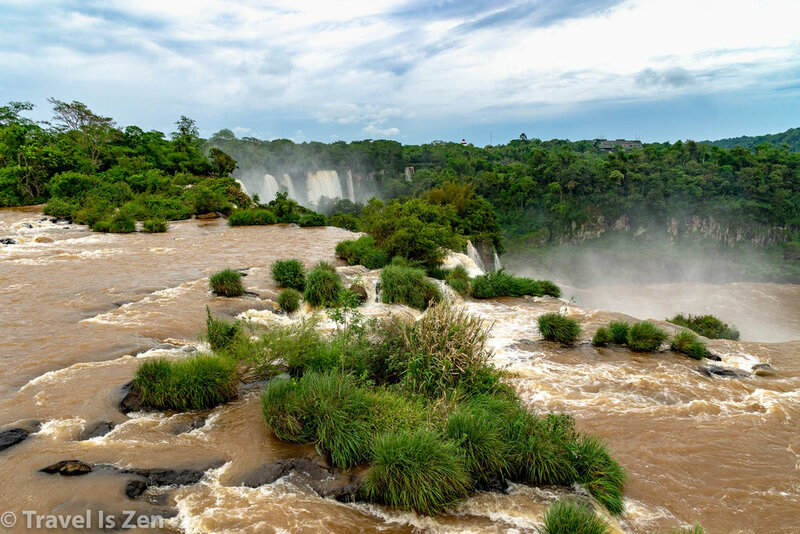 If we were to travel to Iguazu Falls again, we would choose that option. 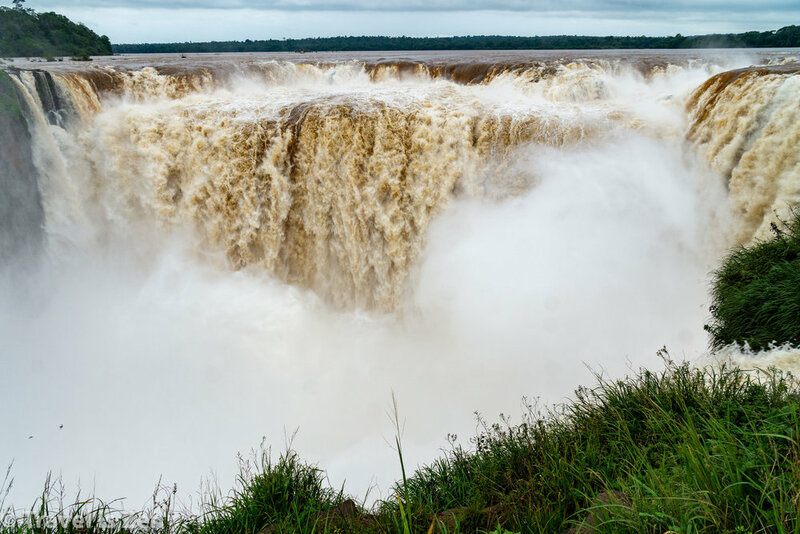 If you do end up with some extra time, though, check out Hito Tres Fronteras, a park that gives you a view of Brazil and Paraguay from the banks of the river in Argentina. 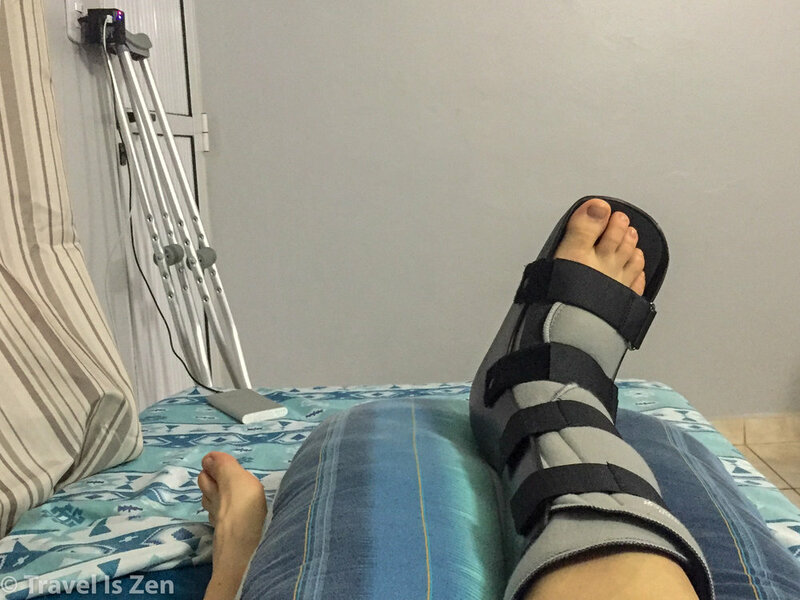 Do you have any stories about traveling on crutches or in a wheelchair? Were there particular countries you felt accommodated special needs better than most? We’d love to have your comments or tag us on social media.